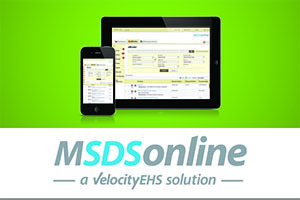 Voted #1 by safety professionals, MSDSonline solutions by VelocityEHS provide award-winning, mobile SDS & Chemical Management tools for every size business, giving 12,500 customers around the world, and their millions of employees, an easier way to search, sort, manage and access SDSs – even offline. MSDSonline solutions help keep employees safe and businesses compliant with global hazardous chemical regulations, including those impacted by GHS. VelocityEHS/MSDSonline will be speaking and exhibiting at AIHce. Visit them at www.MSDSonline.com. Booth #2318. Click here to start a free trial. TRA is pleased to announce the ability to fully integrate safety training content within the IndustrySafe Safety Management Software. IndustrySafe Software provides organizations with web-based safety data management tools, including training and incident management. With the ability to include safety training content within the IndustrySafe software, organizations can deliver training across the organization and integrate training with key safety metrics and performance measures. Customers may now purchase online safety training courses as add-ons to IndustrySafe’s training module. Learners can gain unlimited access to IndustrySafe’s extensive training catalog, featuring approximately 150 popular online regulatory compliance, construction safety, general safety, and lab safety training courses. These courses include full motion video and interactive quizzes and have been developed by the MARCOM Group, Ltd., a leader in safety training content for over 15 years. Click here for a full catalog and preview of these classes. SAFER Systems' Homeland Responder Version 1 chemical engineering management product portfolio is designed to allow users to prepare for, detect and monitor, respond to, and manage and document a chemical event. The product can estimate the source of a chemical release and predict the release's likely path. PureSafety's Enterprise 5.0 Learning and Safety Management System (LSMS) boasts a host of features, including new technology, a new platform, and new architecture. Its Content Editing System allows users to customize, manage, and deploy flash-based courses. Its automated training assignments allow administrators to create weekly, monthly, or multi-year training assignments. MSDSpro's WORKflo is designed to bridge the communication gap between MSDS management and chemical authorization without the hassles of a paper trail authorization. Using Digital Workflow Techniques™, the product allows companies to achieve total chemical control through department-level chemical authorization. Dakota Software Corp.'s ProActivity Suite is designed to allow industrial companies to shift their focus beyond regulatory compliance and incorporate sustainability initiatives into their day-to-day operations. With the software, users can easily create sophisticated regulatory compliance frameworks at each and every site, increasing an organization's environmental performance. The latest addition to its Regulatory Reporting services, 3E Co.'s Compliance Calendar Documents feature is designed to allow instant online access to all hazardous material disclosures and permits available for a facility that are prepared within 3E Online, as well as the ability to view the scanned PDF document. Ariel WebInsight 5.1 is the latest version of 3E Co.'s global, online EHS chemical regulatory compliance reference tool. It has been enhanced with new GHS Tools and Phrases that are designed to facilitate global EH&S compliance and a better understanding of the local implications of the Globally Harmonized System (GHS). 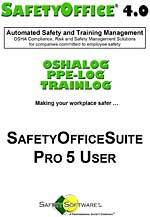 Since 1991, Safety Software's original OSHALOG® has been designed to be an easy-to-use, in-depth professional safety management tool that provides more analytical reports than its competitors. Its patent-pending OSHACoach feature is an accurate decision tree that helps determine recordability and includes hyperlinked 29 CFR 1904 regulations.